Exclusive! Add a little humor to your day! 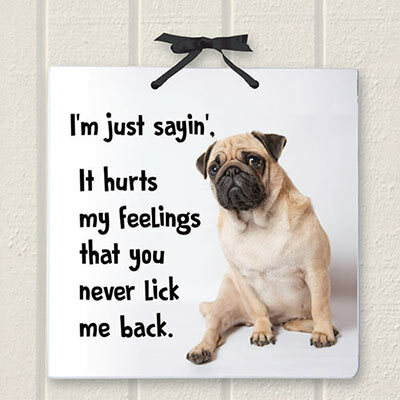 Funny ceramic Just Saying Plaque features poised pug saying what he is thinking. Polyester satin ribbon with bow accent for hanging. Imported. 6" sq.